The sun came out today, for what seems to be the first time in weeks! I keep having a lot on my mind, but I thought I'd take the time to add a couple of pictures. As I said, I've moved house. We're not quite in order yet, my camera is still in a box somewhere and more furniture is coming down from Gothenburg on Friday. 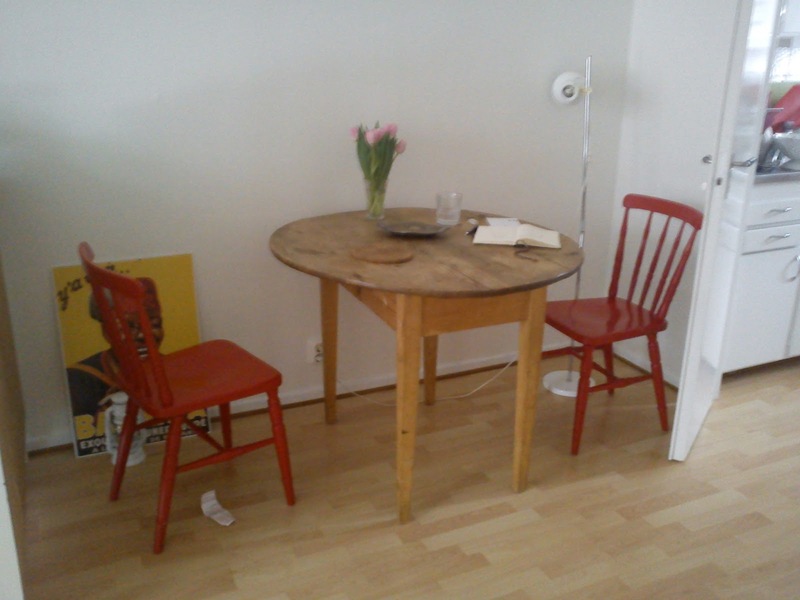 But I bought new chairs and I'm very pleased with them. 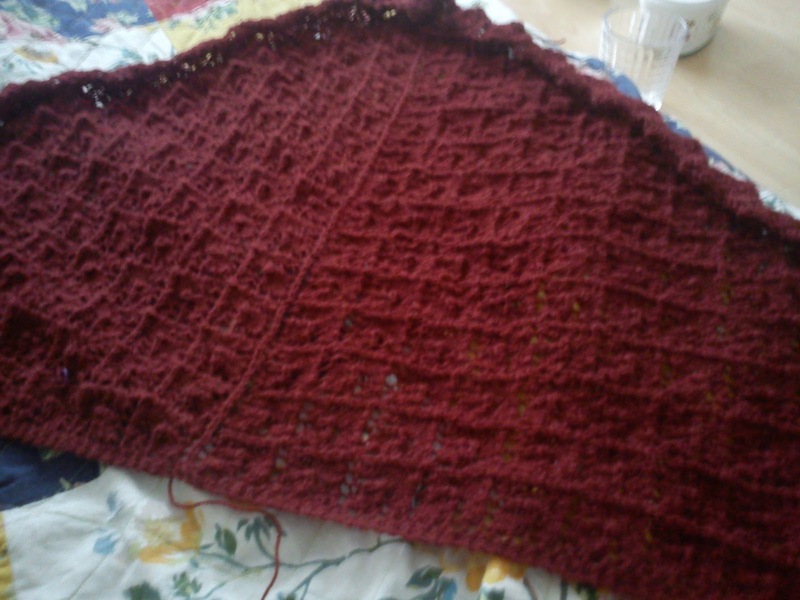 My shawl isn't very photogenic yet, I still need to block it but before I do that I need to mend a small hole (eh, I dropped a stitch and compensated for it without noticing, luckily I caught it before it unravelled). It's really cosy though, I hope to get a few pictures of me wearing it once it's actually done! That's it for now, I'm off to cook carrot lasagne, write a speech about why Chinese cannot (or should not) become the new world-language and prepare a few job applications!